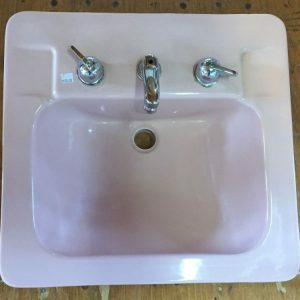 1957 Standard Corallin wall hung sink. 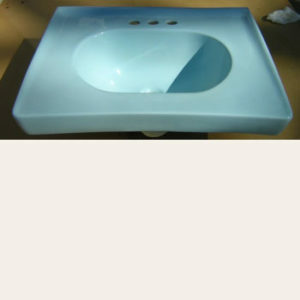 Multiple small chips in the basin, faucet has been rebuilt. 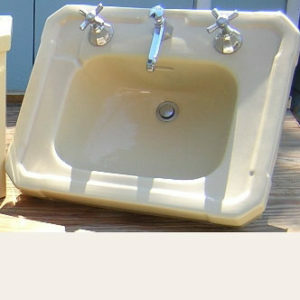 Will be supplied with aftermarket drain assembly. 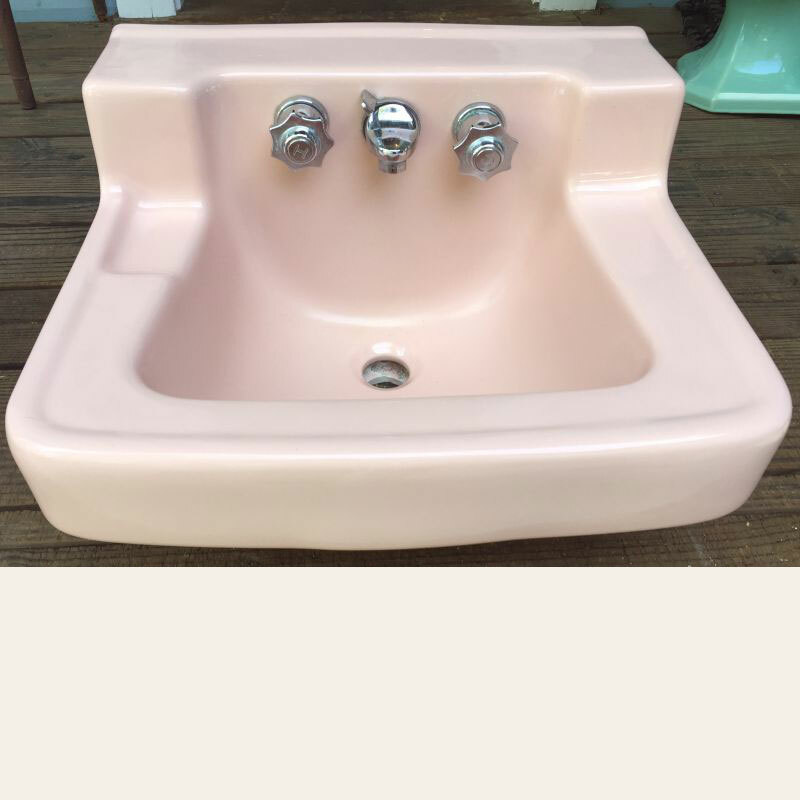 Sink measures 19″ wide by 17″ front to back. 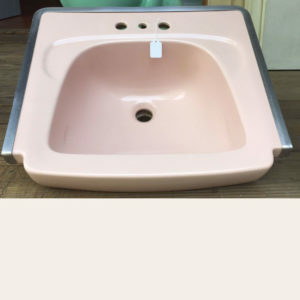 Nice, mid-century sink.